This white paper describes the advantages of deploying Microsoft® SQL Server® database application workloads to a virtualization environment using Microsoft Windows® Server® 2008 R2 Hyper-V™. It demonstrates that Hyper-V provides the performance and scalability needed to run complex SQL Server workloads in certain scenarios. 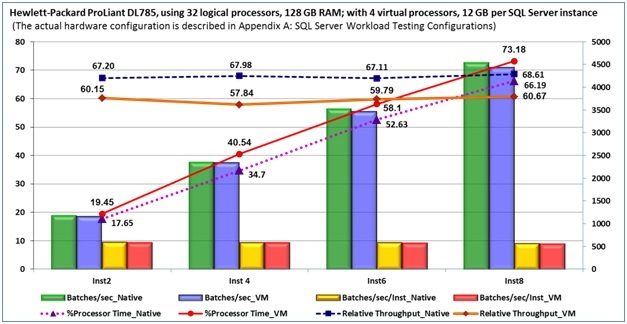 It also shows how Hyper-V can improve performance when used in conjunction with advanced processor technologies. This paper assumes that the reader has a working knowledge of virtualization, Windows Server Hyper-V, SQL Server, Microsoft System Center concepts and features.